Balisong.com has been sourcing and supplying quality balisong knives since 1998. Cuffs trading is the operator and owner of this website. 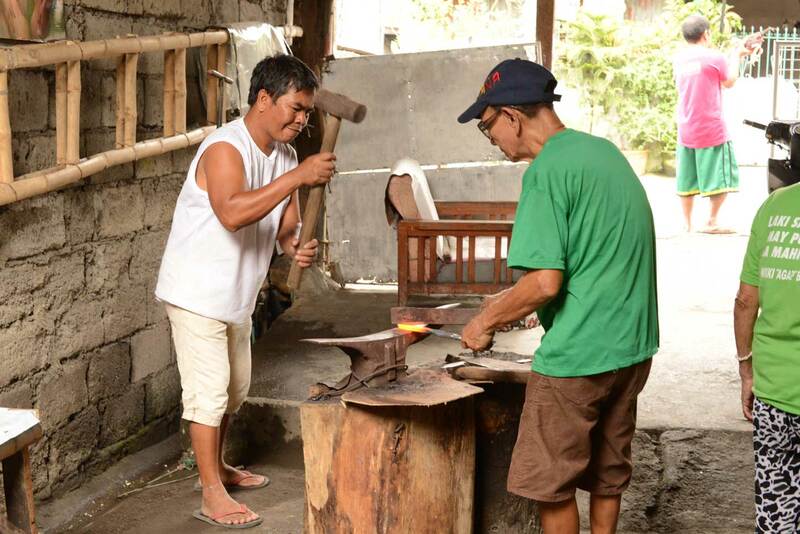 For many years we have helped local blacksmiths / artisans from rural Barrio Balisong, Batangas to take their products to market. Back then, there were many blacksmiths working in the trade, but at the turn of the century many of them have retired or looked for another job overseas for a more sustainable income. And the younger generation, their children, are not interested in taking on the craft. At present ( 2017 ), there is only one active knifemaker left in the barrio, and it is sad to think that this craft will be lost forever.